A little over a week ago (Memorial Day Weekend) I decided to sell my fancy Samsung Galaxy Nexus smartphone running the latest version of the Android mobile operating system and use my old, trusty BlackBerry Curve 8530 running the ancient-by-today's-standards BlackBerry OS 5 while I decide which smartphone I'd like to get next. After having used a great Android phone for nearly a year, the differences between it and the now deprecated Curve are blatantly obvious. But it hasn't been as painful as I expected. Here's how I'm feeling about going back to the Curve after using it for over a week straight. 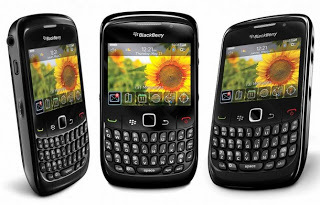 The BlackBerry Curve 8500 series was announced in July of 2009 and hit the shelves a month later. The phone has been out for nearly 4 years...and it's obvious. The single, 2 megapixel rear-facing camera is horrendous compared to even base model Android phones on the market today. I've taken a few pictures and uploaded them to Facebook. They look grainy and small. I don't even bother with videos. 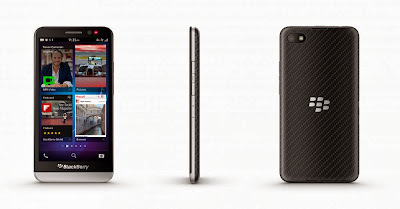 The outer casing is made of smooth plastic with rubber along the edges and feels cheap by BlackBerry standards. The screen is covered by a clear layer of plastic which extends over the bezels and the buttons on either side of the trackpad. It's not bad to look at, but that plastic layer is flimsy and definitely not scratch-resistant. Screen quality and resolution of 320 x 240 px pales in comparison to today's smartphones. I don't mind it so much, as I don't use the phone for watching videos or viewing many photos or high resolution graphics, but the screen is definitely not one of the phone's strengths. I was disappointed to discover that I am unable to sync shared Google calendars with the native calendar app. This is an essential functionality for me, as I use a shared Google calendar to help manage my time and responsibilities with regard to volunteer service for my church. At one time Google had a Calendar Sync app that worked around this limitation, but - like so many of their other services that many people had found useful - Google discontinued it. Fortunately, I am able to sync shared Google calendars on my BlackBerry PlayBook as a workaround, but it's still a bit frustrating that there is no way to do it on my Curve. The app experience, compared to iOS and Android, is a mixed bag for me. It's not a touch-screen device, so you have to use the trackpad/button to navigate, which is a bit clunky. The app selection is limited, and you shouldn't expect many new apps to come to the platform, as BB10 is now the focus for BlackBerry devices going forward. Still, I'm surprised at the quality of many of the apps I do have. Facebook and Twitter integrate with the unified Messages app. You can compose a new post without having to be in the apps. Another thing I like about the Facebook app is that it displays a popup window when one of your friends has a birthday and you can send them a birthday greeting right then and there. Maybe the Android FB app has that capability, but I never knew about it or used it. Other apps like Mapquest, Bing, and Accuweather are pretty good, all things considered. And Opera has greatly improved my web browsing experience for those rare times when I absolutely must look up a website on the phone. Overall, though, for people who really value the app experiences on iOS and Android, they would likely not even consider switching to a legacy BlackBerry device like the Curve. The physical keyboard on the Curve is not the best example of BlackBerry's legendary QWERTY offerings. Nonetheless, it is an absolute joy to use, and makes me wonder much more amazing the typing experience must be on the Bold 9900 series or the imminent Q10. I find myself backspacing considerably less than on my Galaxy Nexus' virtual keyboard, and I seem to be able to zip through checking and responding to messages with much more fluidity and less steps. The tactile feedback of the physical keys helps me type with more confidence and all I have to do is try typing on my PlayBook's keyboard for a while to realize just how much more comfortable I feel with a physical keyboard. BlackBerry Bridge is a great feature that allows me to pair my Curve with my PlayBook via Bluetooth and use them together. It allows me to manage the contacts, email, calendar, texts, and BBM on my phone via my tablet. I can also surf the web on my tablet's browser using my phone's data connection. Another great feature of Bridge is being able to control the PlayBook from my phone. I can hook the PlayBook to an external display and, using my phone as a controller, it can do sophisticated presentations or act as a mini HTPC. Battery life is amazing, at least compared to my Galaxy Nexus. It's so nice to be able to go through an entire day like today without having to charge my phone a single time and having at least 50% remaining by the time I go to bed. With my Galaxy Nexus, I just kept it plugged in whenever I could because I knew if I didn't, I wouldn't be able to get through a full day on a single charge. The size of a smartphone is not of utmost importance to me, but I have very much enjoyed the smaller, lighter Curve as compared to the Galaxy Nexus. It fits snugly and comfortably in my hands, and I am able to easily perform many tasks with just one hand. It also doesn't feel quite as bulky in my front pocket, in spite of being thicker than the Gnex. The call volume and quality on my Curve is actually an improvement over the Gnex. Even at max volume, I struggled sometimes to hear phone calls on the Gnex. It wasn't a huge annoyance, as I never bothered to try to find a way to boost the volume through a 3rd party app or flashing the phone with different ROM, but it was one of those things I always wished would have been better out of the box. Calls on my Curve come through loud and clear, and it's refreshing to not have to strain sometimes to hear what people are saying. The customization and configuration available in the phone's settings in fantastic. For example, when I'm asleep, I don't want to hear a sound every time I receive an email or text, but I do want phone calls to get through in case of an emergency. The "phone calls only" feature on my 4 year old Curve is a must for me, and I'm baffled that such a feature is STILL not built in to iOS or Android out-of-the-box. The more I use this old, trusty Curve, the more I realize just how much more productive I've been with it. I spend less time glued to my phone because I'm able to communicate more efficiently. I love not having to worry about finding an open outlet or USB port during the day to keep my phone charged. And the fact that I have a BlackBerry PlayBook tablet to make use of the Bridge features really enhances the value. That said, while still useful in many ways, this phone is obviously past its prime and lacks some functionality I would very much like to have, such as a better camera, higher resolution screen, and shared Google calendar support. Could I continue using it for the long-haul? Probably. It meets enough of my needs and it's certainly better than nothing. But it's gotten me really excited for the BlackBerry Q10, which by all indications is a fantastic improvement. So hopefully, my return to the Curve will be temporary!